FlowCAD is the exclusive international sales channel for Mecadtron. Mecadtron offers with NEXTRA a family of products for 3D PCB design. The software can build the bridge between eCAD and mCAD software. Native design data from electrical and mechanical design environments can be imported into NEXTRA. 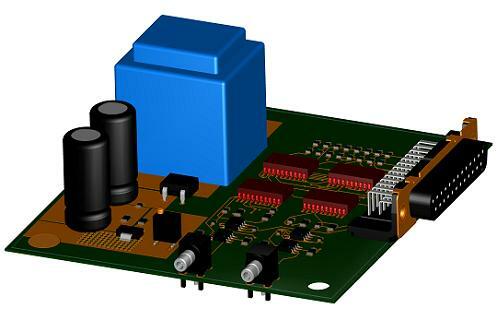 3D applications like flex or rigid flex PCB require exact information of eCAD and mCAD design data to place the PCB within the mechanical context. The integration into the die EDA system from Mentor Graphics, Cadence and Zuken is done via native interfaces for net lists, component libraries, autorouters, autoplacer and 2D layout systems. The connection to mechanical CAD systems is done via interfaces to Catia, ProEngineer, Unigraphics, SolidWorks, SolidEdge, Acis, Step (AP 203, AP 214), IGES, VDAFS, DXF and others.